Are you ready to push out of your comfort zone and be a part of a high quality experience to connect with amazing women? Are you tired of boring photos and cookie cutter portraits? How would you like to be transformed into your most powerful self during a pause and propel photoshoot with TDR and friends? Take a break from your busy schedule for a night of fun and community connections with TDR and Friends. *You must be 18 years or older to attend this private event. Are you a startup entrepreneur or existing business owner who could use support with dumping out your ideas, sorting and prioritizing what makes the most sense now, while receiving feedback from peers, potential customers, and collaborators for your upcoming launch, product, or event? Santasia Hill has worked in the health care field for over a decade. Currently, she works as a supervisor in an Metro Atlanta Dermatology office. She is also a proud Mother of one. Click here to read more on Santasia. Virginia Nava Hieger is the CEO of Transformative Power,LLC. She decided to give up her corporate job as a branding expert of 15 years to pursue her passion. Click here to learn more about Virginia. Leslie Briscoe has 25 years of retail management experience. Currently, she is a senior Buyer for Carter's Inc. She is also a proud mother of one. Want to read more about how Leslie juggles life in corporate and parenthood? Click here to learn more about Leslie. LaToya “Toyiah Marquis” White, was a singer in the nationally recognized R&B singing group Che. A group that traveled throughout the US with many reputable artists such as The Chi-lites, The Emotions and many more acts in their 14 year history of being in the music industry. Click here to learn more about Toyiah. 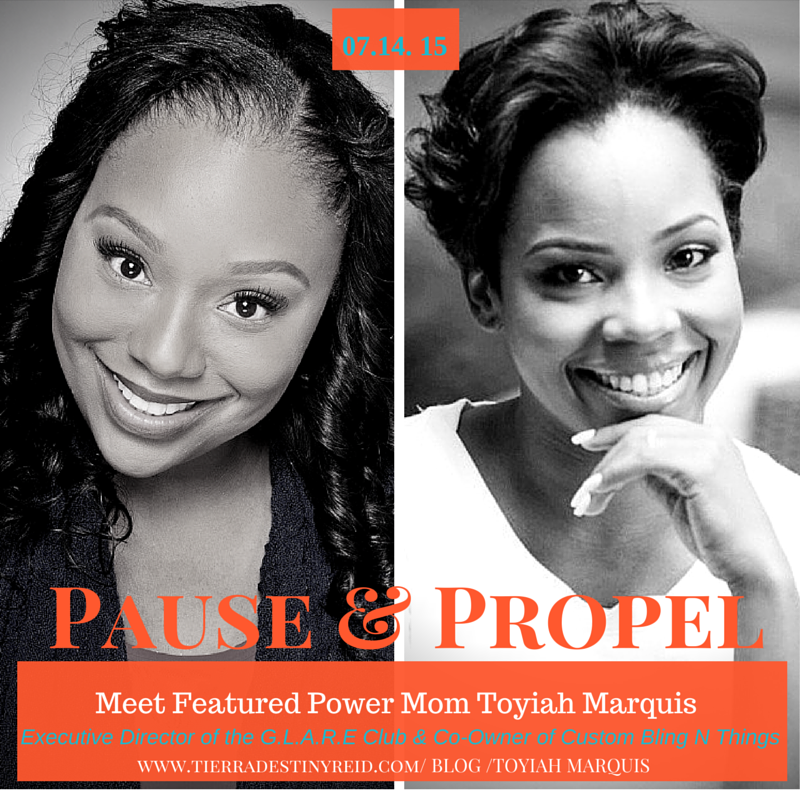 Join us as we kick off our Power Mom Series, celebrating positive women who are equally committed to their families. Sally Lou was the audience producer for The Oprah Winfrey Show and Oprah's Lifeclass on OWN and has spent the past 30 years doing what she loves, working in television. At age 14... Learn more about Sally Lou here. Get Clear. Get Focused. Get Support. Why try to figure everything out alone if you don't have to? Dive in with TDR to get real life feedback and guidance for next steps, prioritizing your ideas, profitability and effectiveness of your goods or services. Sessions are limited. Pause with TDR and escape the hustle and bustle of life for a moment. Let us shower you with love. Isn't that what April Showers are for? An amazing experience that will transform you from the inside out. Not only will you leave with celebrity makeup and a power headshot. you will make positive connections and have a load of fun with TDR and the team. Join Tierra at the intimate and elegant Artmore Hotel for the official launch and signing of her anticipated empowerment book THE POWER OF PEACE IN A PAUSE. Our first Pause with TDR Retreat in Gatlinburg, TN was an overwhelming and a true testimony to the power of a pause. Visit our Pause with TDR page for more info on how to reserve your spot for our next experience and to see fun pictures from the weekend.